Baltimore, MD - Feb. 9, 2019 - The Skulener Rebbe, shlita, arrived in Baltimore early Friday morning. On very short notice and with the assistance of local Skulener Chasidim who learn in the Chasidishe Kollel of Khal Chasidim, Bikur Cholim of Baltimore arranged for the Rebbe to have minyanim with a Sefer Torah provided by Misaskim of Baltimore. At the request of Bikur Cholim, Johns Hopkins Hospital designated an area for minyanim and for the Rebbes gabaim and entourage. Many guests stayed at the Tikva House run by Jewish Caring Network (JCN). 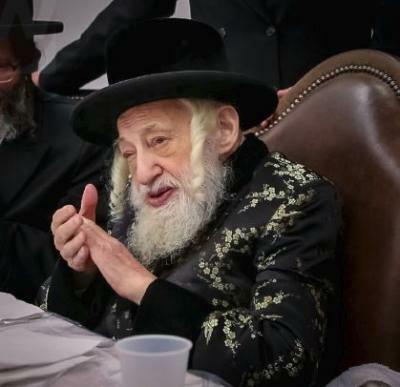 Having such a great elder tzaddik in our midst is a big Zchus for the Baltimore community. The tzibbur is requested to continue to daven for Yisroel Avrohom Ben Shaina Rochel l’refuah shlaimah.